The Body Shop Body Sorbet – amandarobots. 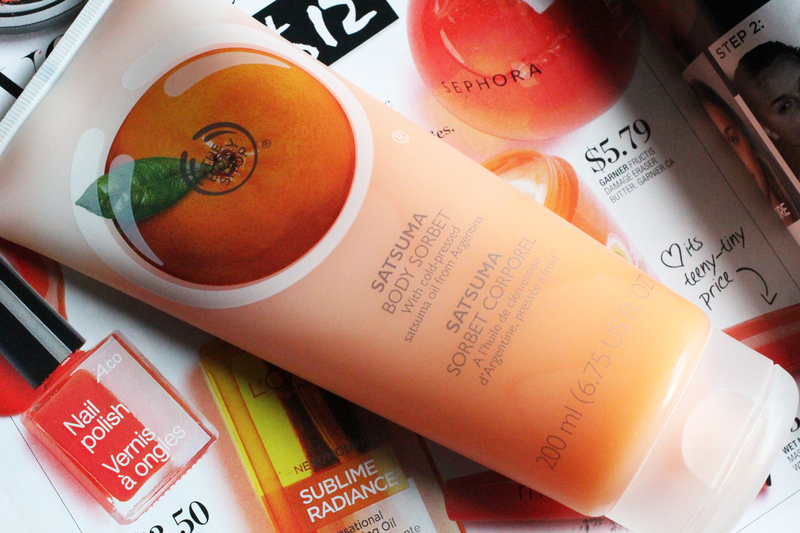 The Body Shop has gone sorbet cray for summer, with sorbet for face and body. More on the former later; more on the latter now. If, like me, you’re asking what a body sorbet is, I’ll try to describe it, but I make no promises at coherency. You see, although I’ve been using this product for a few weeks now, I still struggle to describe it each time I apply it. It’s supposed to be a cooling, light-but-still-very-hydrating body moisturizer. Upon application, it feels like a bunch of tiny semi-solid gel-beads gliding over the skin until it sinks in – in seconds flat. If you haven’t tried this stuff, that description will make little sense to you. But if you have, you’ll know it’s as close to properly describing it as it gets. In the summer, my legs go from flaky, dry, and painful to wonderfully low-maintenance. They go from needing the heaviest body butter I can wrangle to just a light moisturizer, and this sorbet stuff is perf. It’s so light that seconds after application it’s undetectable on the skin – no stickiness, no greasiness. Just perfectly moisturized skin and a lovely smell. It currently comes in 5 flavours: mango, moringa, pink grapefruit, strawberry, and satsuma.These are TBS’s freshest scents, and are therefore most conducive to sorbetifying. I’m hoping there will be more soon, though – off the top of my head, a raspberry one and perhaps a lemon one would be great. What impresses me most about these is the incredibly unique formula. It’s that formula that prompts me to say that, if you haven’t tried them, wait for The Body Shop to have a sale and pick one up!